To listen daily to the hours of Lauds and Vespers sung in Latin according to the Breviárium Monásticum by the Benedictine Monks of Norcia go here: http://osbnorcia.org/en/category/audio. 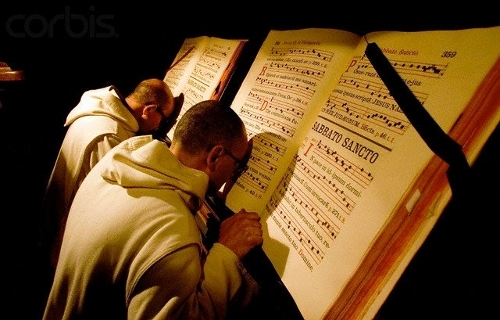 To listen daily (and even LIVE) to the hours of Lauds, Prime, Sext, None, Vespers, and Compline sung in Latin according to the Breviárium Monásticum by the Benedictine Monks of Le Barroux in France go here: http://www.barrouxchant.com. Buy the Latin-English edition of the Roman Office with the rubrics of 1962 and the Gallican Psalter here: https://www.baroniuspress.com/book.php?wid=56&bid=59#tab=tab-1. VII. The Recitation of the Office. The same holy Doctor thus shows us that in the Divine Office there is a public function, imposed upon clerics for the preservation and increase of the Church. He says: "Since to the chant of the hymns and the psalms the divine Office is celebrated, there is accomplished in the Church of God a public ministry, organized for the good of all.” (Opusc, xxix. c. 5.) St. Bernard had already said that upon ecclesiastics is chiefly incumbent a triple charge: to preach the word of God, to give good example, and to pray for all. “There are three obligations that remain to us: preaching, good example, prayer; and the latter surpasses the other two;” (Epistle 201, n. 3.) 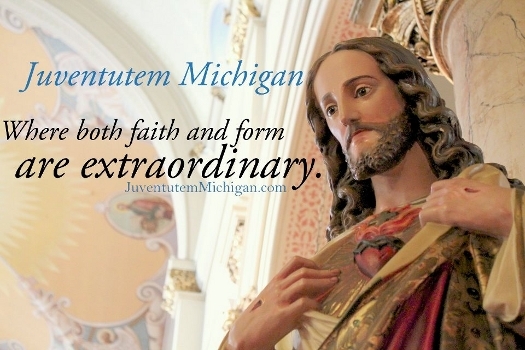 this he adds, in order to exalt prayer above eloquence and the most beautiful examples of virtue. We thence understand what terrible punishments God reserves for those who, obliged to recite the Office, abstain from saying it either through wearisomeness or in order to give themselves to worldly amusements. But let us leave these persons who are struck with blindness, and let us speak of those who recite the Office in a careless manner. What a pity to see how certain priests recite the breviary in the streets, at some window, their eyes fixed on those passing by, or in the society of friends, with whom they laugh and jest, thus intermingling the divine praises with worldly and improper conversation, without paying any attention to the sacred words. If any one of them, when admitted to the presence of a great personage of this world, dared to speak to him in this way, he would certainly be driven away and punished. Alas! some priests have the audacity to treat God as if their mission was not to honor but to dishonor him. I add that the Office, recited without devotion and with the only thought of finishing it as soon as possible, becomes one of the heaviest burdens and at the same time is so tedious as to seem to be of an interminable length; on the contrary, when it is recited with devotion, with a true desire of profiting by it, by applying mind and heart to the sacred words, its burden becomes light and sweet: of this all the saints have had experience. The saints found more pleasure in reciting the Office than worldlings find in the midst of pastimes and amusements. One single Office recited with devotion may gain for us many degrees of glory in heaven. What treasures of merit will not they, then, amass after they have recited the breviary for thirty or forty years with the required devotion and piety! This is what has inspired me with the difficult undertaking of translating the psalms. May those who by the duty of their state are bound to recite the breviary, recite it with merit and profit to their souls! May they, while escaping the misfortune of reciting the breviary badly, be spared the pain of having one day to render a terrible account before the tribunal of God and then to expiate the innumerable faults that they have committed!